Casablanca was our launch pad to our 8 day Moroccan road trip. We were in town for only a day on our way to Marrakesh. During our short stay we found two restaurants we loved; La Sqala, an outdoor restaurant on top of an old fort looking out to sea. We had our first tagines of the trip here. For dinner we went to Ricks, a recreation of the lounge from the movie Casablanca, despite the name the movie was actually filmed in California. The highlight of Casablanca was walking the coast line and ending up at Hassan II Mosque, the largest mosque in Morocco. 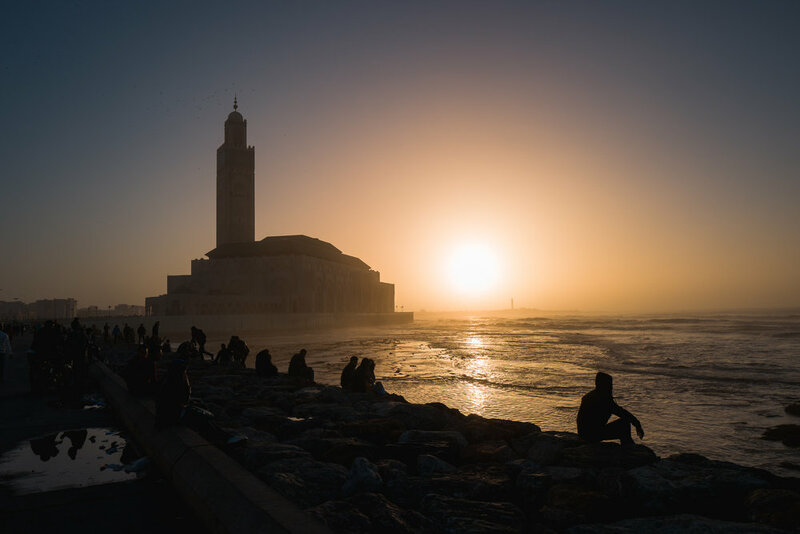 The coast leading to the mosque turned out to be the hot spot of Casablanca, the entire stretch was packed with people watching the sun set or selling snacks. 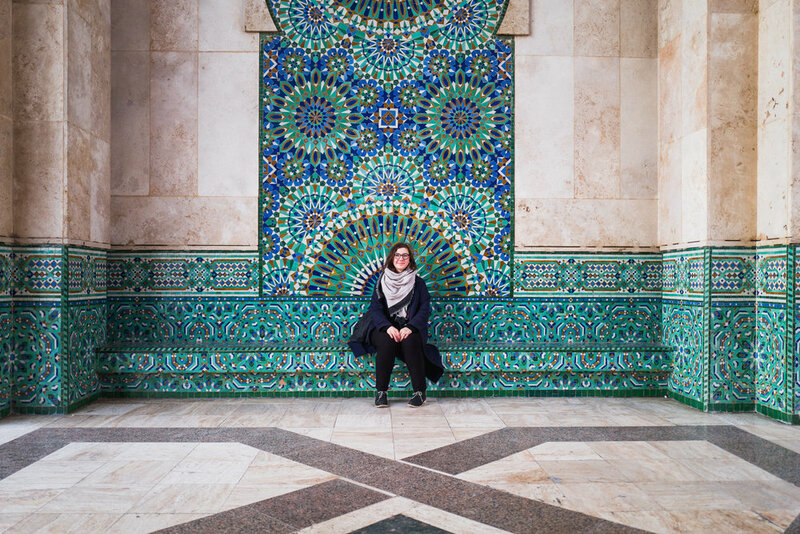 We walked the coast snapping picks of the hazy sunset, ending the walk with detailed photos of the intricate tiles of the Hassan II Mosque. In the morning we quickly packed, picked up our rental car, and set our sights on Marrakesh.